Written in the shadow of the approaching millennium, American literature in the 1990s was beset by bleak announcements of the end of books, the end of postmodernism, and even the end of literature. Yet, as conservative critics marked the century's twilight hours by launching elegies for the conventional canon, American writers proved the continuing vitality of their literature by reinvigorating inherited forms, by adopting and adapting emerging technologies to narrative ends, and by finding new voices that had remained outside that canon for too long. 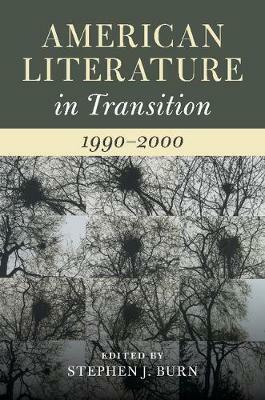 By reading 1990s literature in a sequence of shifting contexts - from independent presses to the AIDS crisis, and from angelology to virtual reality - American Literature in Transition, 1990-2000 provides the fullest map yet of the changing shape of a rich and diverse decade's literary production. It offers new perspectives on the period's well-known landmarks, Toni Morrison, Thomas Pynchon, David Foster Wallace, but also overdue recognition to writers such as Ana Castillo, Evan Dara, Steve Erickson, and Carole Maso.